The Winston-Salem City Council will hold a public hearing on the adoption of the Legacy 2030 comprehensive plan Monday, November 5, 2012; the Forsyth County Board of Commissioners have scheduled a public hearing for Monday, November 26. 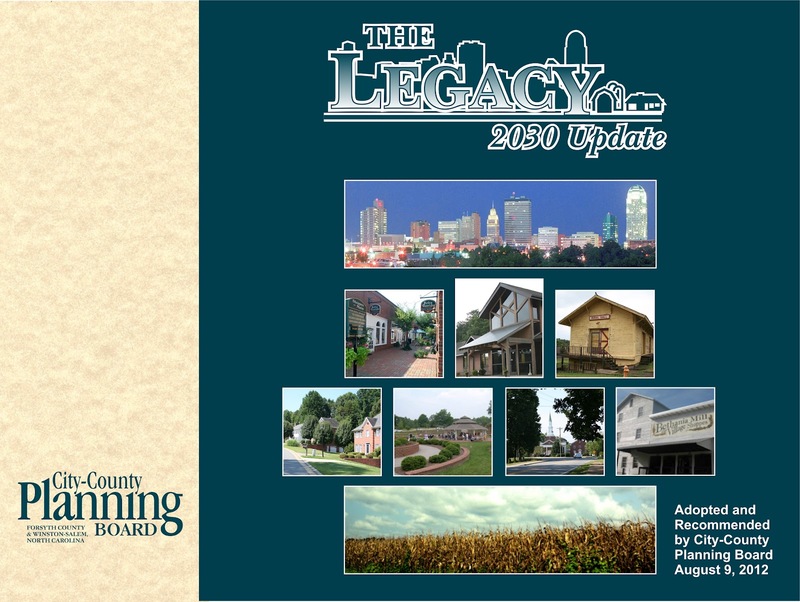 Legacy 2030 is designed to guide development in Forsyth County for the next 20 years and was built on nearly 700 citizen comments received on the Legacy 2030 website and a series of public meetings that attracted about 450 attendees. The City-County Planning Board unanimously adopted the plan at their August meeting.